Linda H. Aiken Ph.D., F.A.A.N., F.R.C.N., R.N. Award Year: 1998 Market-driven restructuring of the U.S. hospital sector is raising doubts about quality of care, affecting worker morale, and weakening the public's trust. Dr. Aiken seeks to understand the mechanisms by which hospital organizational structure and processes affect patient outcomes. Her project focuses on how aspects of human resource allocation and hospital organization might be modified or shaped to yield better outcomes given financial constraints. As part of her study, Dr. Aiken will: 1) test new methods and instruments for measuring organizational traits across hospitals; 2) engage leaders in a discussion of her findings and their implications for redesigning acute inpatient clinical care; 3) assess the impact of hospital sector changes on current and future nursing workforce requirements; and 3) consider the effects of changing hospital workforce requirements on nursing education. Findings should inform the debate about current and future nurse workforce requirements and efforts to improve the quality of hospital care. Linda H. Aiken is the Claire M. Fagin Leadership Professor of Nursing, professor of sociology, and director of the Center for Health Outcomes and Policy Research at the University of Pennsylvania. She is also a senior fellow at the Leonard Davis Institute for Health Economics and research associate in the Population Studies Center. Before joining the faculty of the University of Pennsylvania in 1988, Aiken was vice president of The Robert Wood Johnson Foundation. Dr. Aiken received her bachelors and masters degrees in nursing from the University of Florida, Gainesville, and her Ph.D. in sociology and demography from the University of Texas at Austin. She was a postdoctoral research fellow in medical sociology at the University of Wisconsin, Madison. Dr. Aiken has been a major contributor to health workforce and outcomes research for the past two decades. Her recent work has focused on accounting for variation in hospital outcomes in the United States, Canada, the United Kingdom, and Germany, and building the evidence-base of superior outcomes in magnet hospitals. Her research focuses on the substantive and methodological advances in health outcomes research across a variety of areas including health care systems, hospital quality of care, AIDS care and prevention, innovative models of primary care, and mental health services. Most recently, she has been appointed director of a new nursing quality initiative in Russia and Armenia sponsored by the American International Health Alliance in conjunction with Credentialing International of the American Nurses Credentialing Center with a goal of assessing the applicability of magnet hospital standards under developing world conditions. Aiken is a member of the American Academy of Arts and Sciences, the Institute of Medicine of the National Academy of Sciences, a fellow and former president of the American Academy of Nursing, an honorary fellow in the Royal College of Nursing of the United Kingdom, a member of the National Academy of Social Insurance, and a distinguished fellow of AcademyHealth. She has received numerous achievement awards from national public policy and nursing organizations, including election as a Theodore Roosevelt Fellow in 2002 by the American Academy of Political and Social Science, the 2002 Barbara Thoman Curtis Award from the American Nurses Association, and the 2003 Individual Ernest A. Codman Award from the Joint Commission on Accreditation of Health Care Organizations. 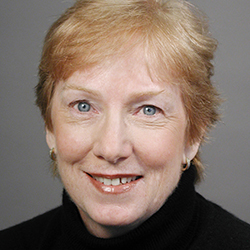 Aiken and her co-authors were honored in 2003 with the Health Services Research Article of the Year Award by AcademyHealth for their paper in JAMA documenting the effect of nurse staffing on surgical mortality. In 2006, she was awarded the William B. Graham Prize for Health Services Research by The Baxter International Foundation and AUPHA. Aiken, L.H. Improving Quality through Nursing, In Policy Challenges in Modern Health Care, eds. Mechanic, D., Rogut, L., Colby, D., Knickman, J. Rutgers University Press, 2005. McHugh, M., Kelly, L., Sloane, D., Aiken, L. Contradicting Fears, California's Nurse-To-Patient Mandate Did Not Reduce the Skill Level of the Nursing Workforce in Hospitals. Health Affairs, Jul 2011, 30(7): 1299-1306. Aiken, L.H. Nurses for the Future. NEJM, Jan 20 2011, 364(3): 196-198. Naylor, M., Aiken, L., Kurtzman, E., Olds, D., Hirschman, K. The Care Span: The Importance of Transitional Care in Achieving Health Reform. Health Affairs, Apr 2011, 30(4): 746-754. Vahey, D.C., Aiken, L.H., Sloane, D.M., Clarke, S.P., Vargas, D. Nurse Burnout and Patient Satisfaction. Medical Care, 2004, 42(2): Suppl, II57-66. Rogers, A.E., Hwang, W.T., Scott, L.D., Aiken, L.H., Dinges, D.F. The Working Hours of Hospital Staff Nurses and Patient Safety. Health Affairs, 2004, 23(4): 202-12. Aiken, L.H. Achieving an Interdisciplinary Workforce in Health Care. NEJM, 2003, 348(2): 164-6. Aiken, L., Clarke, S., Cheung, R., Sloane, D., Silber, J. Educational Levels of Hospital Nurses and Surgical Patient Mortality. JAMA, 2003, 290(12): 1617-23. Clarke, S.P., Aiken, L.H.ÊFailure to Rescue.ÊAmerican J of Nursing, 2003, 103(1): 42-7. Aiken, L., Clarke, S., Sloane, D., Sochalski, J., Silber, J. Hospital Nurse Staffing and Patient Mortality. Nurse Burnout and Job Dissatisfaction. JAMA, 2002, 288(16): 1987-93.
Cooper, R.A., Aiken, L.H. Human Inputs: The Health Care Workforce and Medical Markets. JHPPL, 2001, 26(5): 925-38. Aiken, L., Clarke, S., Sloane, D., Sochalski, J., Busse, R., Clarke, H., Giovannetti, P., Hunt, J., Rafferty, A., Shamian, J. Nurses' Reports on Hospital Care in Five Countries. Health Affairs, 2001, 20(3): 43-53.